Pixie tangerines are seedless delights. There are three things you need to know about Pixie tangerines. They are sweet. They are seedless. And they are easy to peel. According to Ojai farmer George Thacher, the OPGA is a co-op based on a handshake. “It’s that kind of a town,” he says. “We’re all friends and neighbors, so we pool our fruit together.” This year, the collective expects to pick a record three million pounds of fruit. Thacher, who along with his parents and sister, own and operate Friend’s Ranch (Friend was a family name), is quick to tell you that he is a fifth-generation Ojai Valley farmer. On the farm’s website, he traces the family land back to his British ancestors who were distracted by the beauty of Ventura County while en route to find gold in Bodie. They liked it so much that they decided to stay. By 1891, they were planting orange trees in Ojai. The family’s first Pixies were planted 80 years later. The small fruit size and irregular harvest meant there was very little commercial promise for Pixies. Until the 1980s, it was considered a “backyard tree,” but Thacher’s father Tony, along with fellow grower Jim Churchill, believed that the candy-like flavor was enticing enough to create a market. They drove across California handing out samples and began selling at farmers’ markets. Alice Waters bought them. So did Melissa’s Produce, which remains the largest distributor of Pixies today. Because the seedless Pixie is unique to Ojai Valley, it is celebrated with great fanfare. In April, the community celebrates “Pixie Tangerine Month” with “Pixology” cocktail classes at the Ojai Valley Inn and Spa, and Pixie-marmalade scones at The Farmer and The Cook. Spas roll out Pixie facials, tangerine-scented organic scrubs, and Pixie-blossom manicures. Boutiques mark sale tags with orange stickers, and artisans compete in Pixie-themed art contests. It’s not unlike an episode of Parks & Recreation, except it’s real. 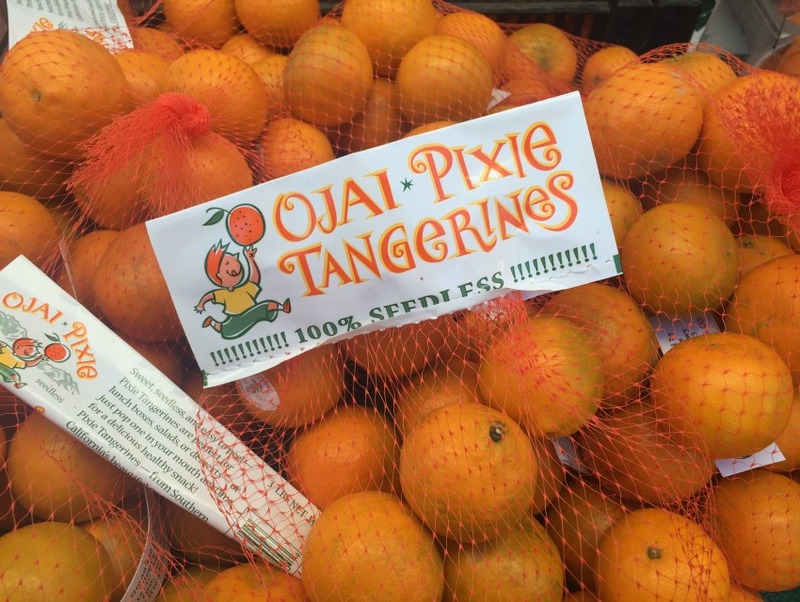 If you can’t make it to Ojai for a taste of Pixie-tangerine frozen yogurt this April, pick up some seedless specimens from Friend’s Ranch at the Wednesday Santa Monica or Sunday Hollywood market.